You thought I loved lipsticks. HAAH! You don’t know lipstick love till you meet Yishan, blogger behind BeautySwatch.com! Her blog focuses on lip products and she does a very good job of it because she has absolutely lovely lips, and takes lovely swatches. But we’re not here about her blog today. I’m here to review her print book of Pout Perfect. The print version of Pout Perfect feels substantial in my hands and is everything to do with lipstick. She does after all promise you that this is the complete guide to building your lipstick wardrobe! 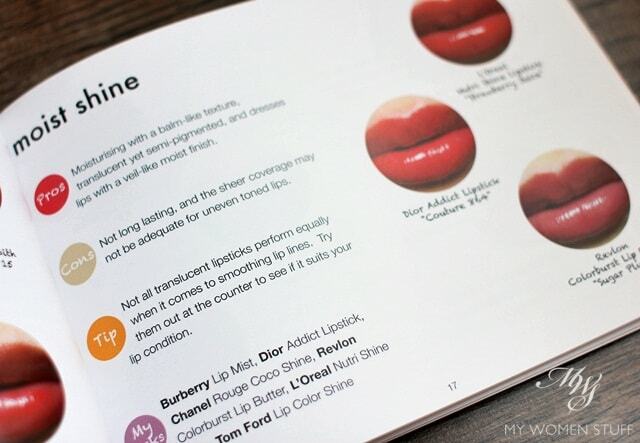 Basically, if you weren’t sure where to start when shopping for a lipstick, this book will try to guide you on your way. The work and effort put into Pout Perfect is stellar. The white glossy pages with their large print are easy to read and the accompanying photographs and illustrations are clear. 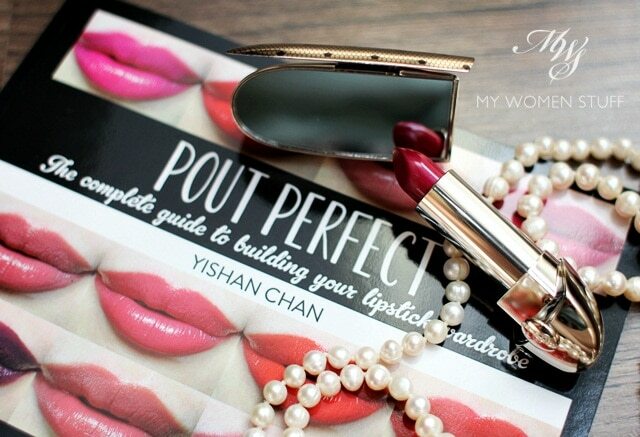 A little trivia: All the lips featured in the book are Yishan’s! I salute her consistency. The breakdown of the different types of lipsticks available in the market is helpful, as are the accompanying tips. If I had a comment or two, I would have preferred that a fuller lip be featured, and that the font for the lipstick captions were less handwriting-y. Sans serif italics might have carried the professional theme through the book better. I particularly liked when she included her picks of lipsticks she liked in each category, because it gives a better idea of where one could start looking. The high end and budget selections were also very helpful. Lipsticks are after all, one of the easiest and most affordable makeup items to pick up, and they can transform your look quite impressively. The short section on quick tutorials on how to apply lipstick was an interesting one. Most of us would apply it straight from the bullet, but different application methods can give you different results so this was my favourite section. The accompanying photographs showing each step was also helpful. The section at the back on how to care for your lips deserves mention too. What I valued most was the easy reading, simple language used and easy to read short sentences. It feels just like having someone talk to you instead of talking at you, and I think that’s something a blogger knows and intuitively understands. 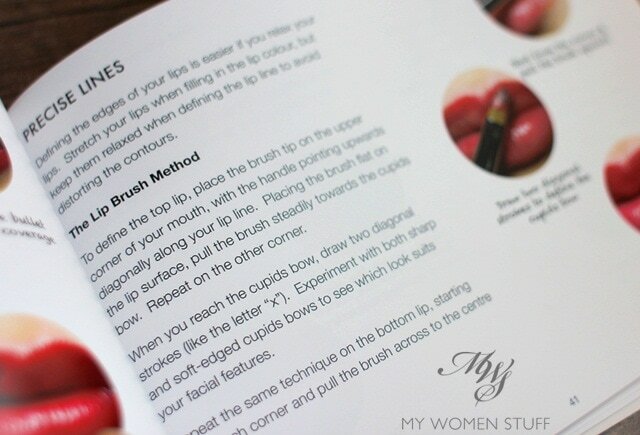 Ultimately, if you feel that lipstick isn’t your thing or you don’t know where to start and don’t want to contend with the pushy SAs at the counter, you will find the tips in Pout Perfect very helpful. They basically give you a point to start from so you can arm yourself with knowledge before you head to the counters and pick your lip colour or texture. Have you worked out your perfect pout yet? Pout Perfect is available from Beauty Swatch at A$9.99 (ebook) and A$19.99 (print – ships worldwide). I’m not affiliated, just a supportive fellow blogger. I had made my purchase as well! I’m still awaiting for the post at the moment! Can’t wait to read it as I had difficulty in trying to find the shade that I love and yet suit my lip well. I will really treasure this book ! Thanks for the sharing again Paris B! I have pout perfect ebook. I feel like reading it again n again. Yishan’s gorgeous lips adds life to the book. You got the e-book! I never got the hang of reading an ebook haha. I need to feel the book in my hands but yes, I agree her perfect lips do add that personal touch. This book sounds really interesting! It surely takes a lot of dedication (and love for lipsticks) to make something so complete. I love Yishan’s blog and also both versions of her book (.pdf and printed). 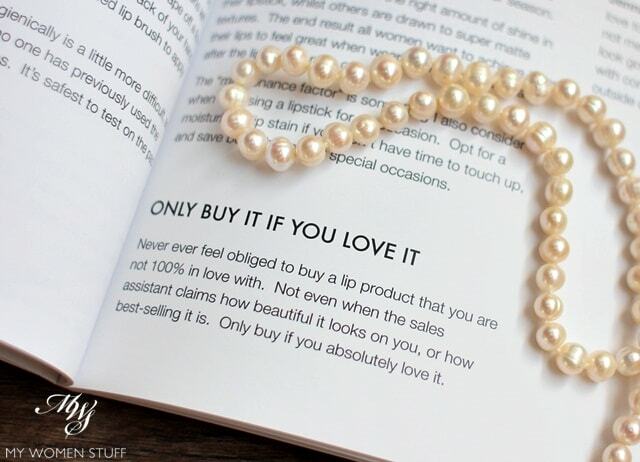 Even though lipstick is not my addiction in makeup, I find this book helpful, informative and a very pleasant read.